This morning federal resources Minister Matt Canavan revealed his increasing desperation to find a site for Australia’s radioactive waste before the next election by announcing an increase in the incentive package for the chosen community from $10 million to $31 million. 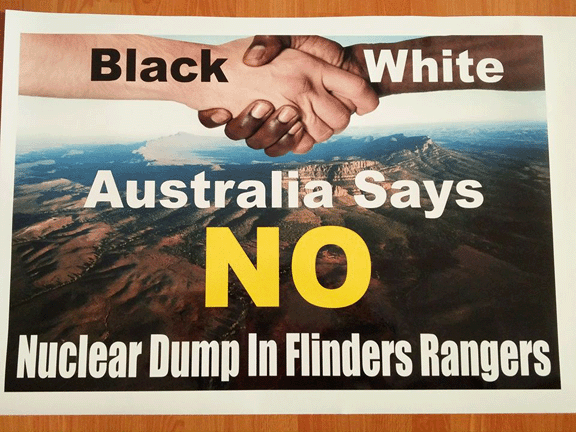 The Minister has repeatedly stated that “broad community support” is needed in order to select a site for the National Radioactive Waste Management Facility (NRWMF). However the Minister continues to refuse to detail what this means. Talking on ABC North and West radio with Paul Culliver today, Minister Canavan continued to avoid answering how this support would be measured. “for many in the community it has never been about money. Tourists are stopping people in the street to say they won’t come back if Hawker hosts a dump. A 2% drop in tourism numbers would lose the region $8.5 million every year. A one off federal payment is not worthwhile”. “Minister Canavan’s announcement this morning of a new community benefits package has no influence on our opposition to the proposed Kimba sites. We have always maintained that the NRWMF does not belong on agricultural land, and no amount of money changes that. Our federal government has a responsibility to find the right site, not just any site for this facility, and our support for siting it in Kimba cannot be bought”.